The Bundestag has become the target of a significant cyber attack, hackers tried to compromise the internal network of the German Parliament. The German parliament Bundestag has officially confirmed media reports about a hacking attack which hit the Institution last week. The experts of the Bundestag, the IT staff immediately started the investigation supported by the Government Office for Information Technology Security (BSI). According to the Spiegel Online, the IT staff at Bundestag noticed several days ago that hackers were trying to penetrate the Bundestag’s internal network. “After SPIEGEL ONLINE information IT professionals Parliament had noticed already several days ago that the unknown trying to enter into the internal data network of the Bundestag.Apparently, the wanted hackers gain access to information from the computer system. Almost simultaneously also noted experts of the intelligence service in the Cyber Defence Centre of the Association the Spähversuch and warned the Bundestag Administration.” reported the German news agency. According to information obtained by SPIEGEL ONLINE, the incident was classified by the specialists as severe, but at the moment I’m writing there is no news regarding the possible source of the cyber attack neither which information was obtained by the hackers. MPs and IT staff of from several parties were warned about the cyber attack on Friday morning and were informed that the network would be shut down due to the intrusion. “On Friday morning, the IT departments of several parliamentary groups had placed their representatives and employees about the “security incident” in the data network of the Parliament informed. For safety reasons parts of the Bundestag system had been temporarily shut down. Among apparently fall also drives the parliamentary committee of inquiry to investigate the BND / NSA spying affair.” continues the SPIEGEL ONLINE. According further information disclosed on the incident, the experts at Bundestag have switched-off only a limited number of computers. Among the computer systems that were switched-off there are the machines containing information that originated at the inquiry into spying by the NSA in Germany. 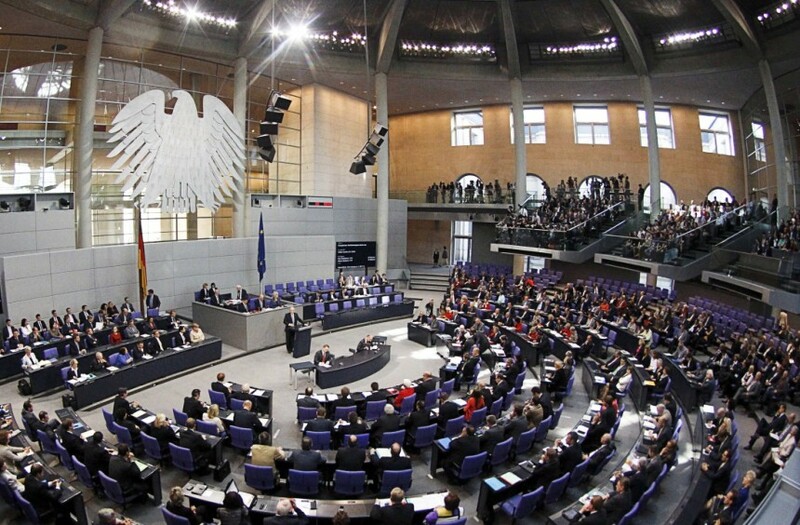 This is the second time in the year that the Bundestag was victim of a major attack, in January the Bundestag and Chancellery were targeted by a pro-Russian hacker group that caused the paralysis of the Government systems for several hours.